When holidaymakers experience their first break in a static caravan on Towyn caravan parks they are often enchanted by the area. It’s important to work out how much money you have available for the initial outlay and ancillary costs. You’ll need to find out what the sites fees are as they vary on Towyn caravan parks. Sometimes you can buy a caravan with the first year’s site fees included. However, you still have to budget for annual sites fees, maintenance costs, utilities and insurance cover. If you have a clear budget it makes it so much easier to decide on a suitable caravan. The static caravan you select and the Park you site it on (if it isn’t already sited) will largely depend on the requirements of your family. 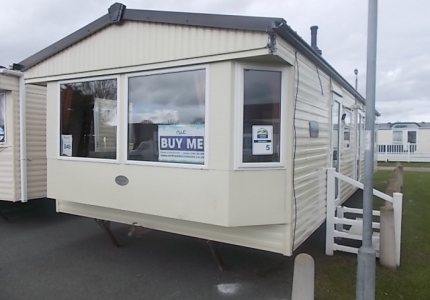 Holiday homes on Towyn caravan parks vary in size and specification. Some are disabled friendly, some have central heating (a must if you intend to spend winter holidays in North Wales) and some are top of the range luxurious models. There are a variety of facilities offered on the parks with some offering so many activities you’ll be spoilt for choice. Others are quiet but within easy reach of adventure if you are looking for it. If you are going to take your pet on holiday you need to ensure the caravan park you choose is pet-friendly. If you and your family like busy, active holidays with lots of social entertainment it’s best to site your caravan on parks like Golden Gate Holiday Centre of Whitehouse Leisure Centre. These offer a wealth of activities for people of all ages and lots of facilities on site. They’re also within easy reach of the seaside resort. Those who prefer to chill out in peace and tranquillity might want to consider a rural setting such as Sirior Bach Caravan Park which is set in 19 acres of beautiful countryside. It’s only 3 miles to Abergele beaches and you can guarantee a stress-free break there. Take your time thinking about the right site because it is just as important as the correct type of caravan for your needs. If budget allows and you decide to purchase a new static caravan there is more flexibility in features. You will be able to choose a layout that matches your needs and a décor that suits your taste. Alternatively, you may find a brand new static caravan that already has the features you like. You can add decking for outside furniture, central heating and air conditioning, domestic appliances and other things to make it a home from home. If you choose a used model, you may also be able to negotiate extras at the time of purchase. The worst a caravan dealer can say is “No” so there is no harm in asking. All Towyn caravan parks have terms and conditions but they are not uniform. You’ll need to check out whether the facilities are for exclusive use of owners and if you get free passes for any of the on-site entertainment. Will you be able to rent your caravan out when you are not using it? Are there any restrictions as to whom you can let it to? Some parks don’t like rowdy party groups! Ask as many questions as you feel necessary before settling on a holiday park. For more information about new and used static caravans for sale, contact North Wales Caravans. Ask about special offers and concessions at the time of viewing.